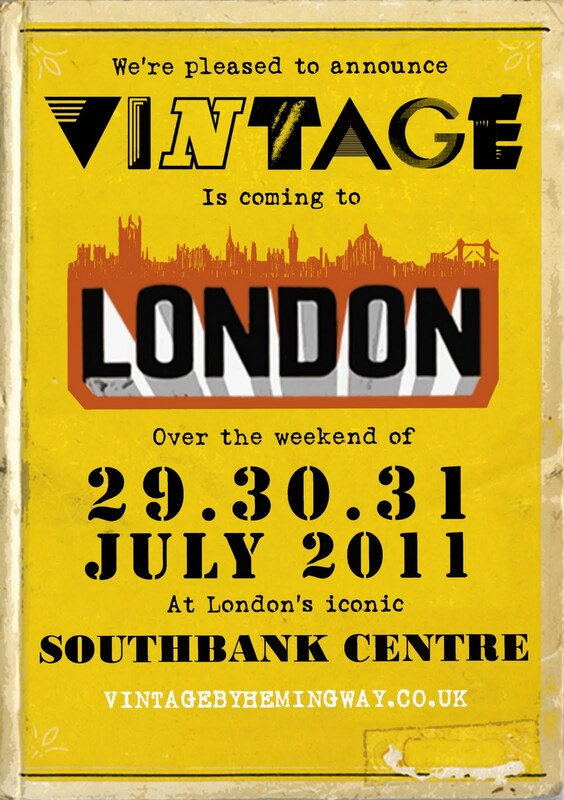 What a weekend we have had at the quite fabulous Vintage Festival on the Southbank. Not only was it a great chance to speak to all the wonderful vintage addicts about their love of all things retro, but we also got to oggle all those fabulous vintage outfits and even pick up a few vintage treats ourselves! We had a lovely little stall featuring a small but perfectly formed selection of RMV goodies to tempt the good people of London - and tempted they were! We had to say goodbye to our treasured Mary Quant Jacket Dress and our collection of vintage bold block colour clutch bags lasted about 45 minutes before they were all re-homed! 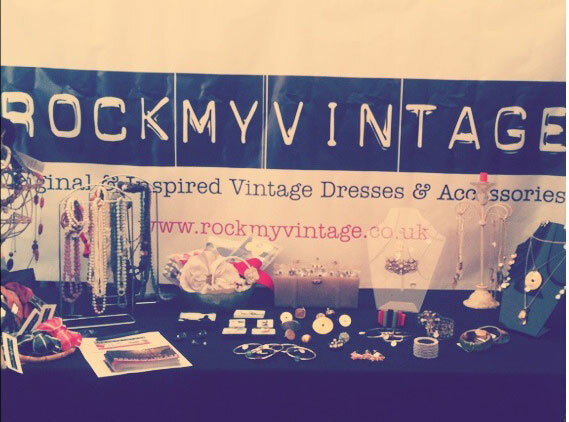 Our Little Stall Of Vintage and Inspired Treats! 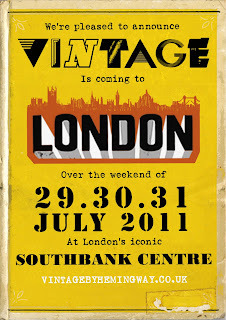 The sun was out, so were swing skirts, 40s hair dos, lava lamps, flat caps and everyone looked blinking marvellous. It seemed like the 50s prom was the ladies first choice and, as the weather was so brilliant, the floral and lace prints looked simply stunning swishing their way along the riverside. 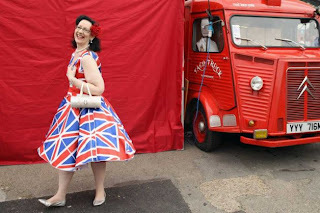 Our celebrity radar spotted Florence Welsh and Daisy Lowe looking vint-alicious but it was you lovely shoppers that really impressed us with your total commitment to vintage whether in full on pin-up or a pic n mix with high street or contemporary brands. Thanks for coming along to say "hi" - We loved it and can't wait till next year! 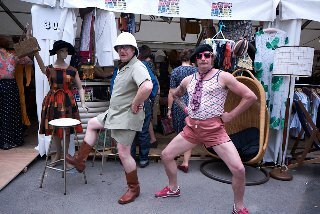 Our Retail Neighbours Putting On A Show! Going with the Flo - We stalked her picking up some lovely Biba! 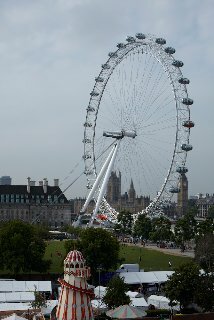 I Spy with the London Eye something beginning with V! Photos from Getty, Vintage By Hemmingway and Our Own.